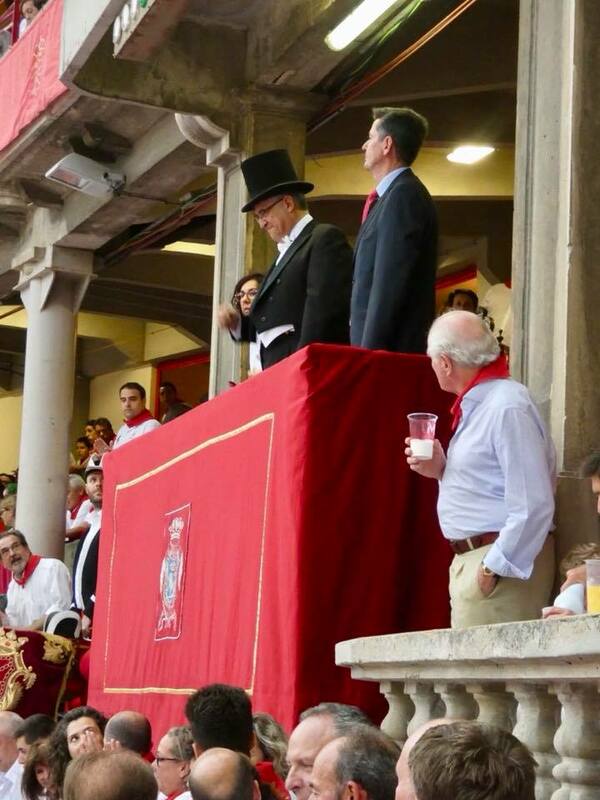 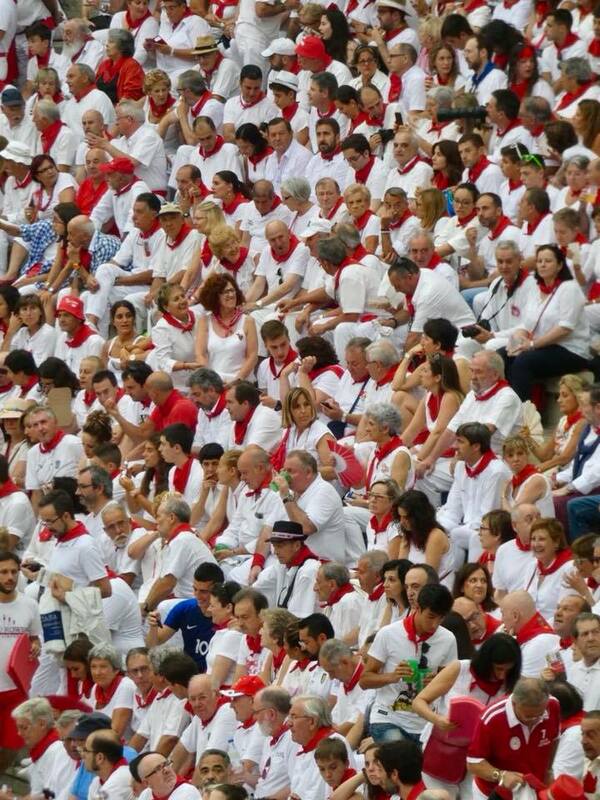 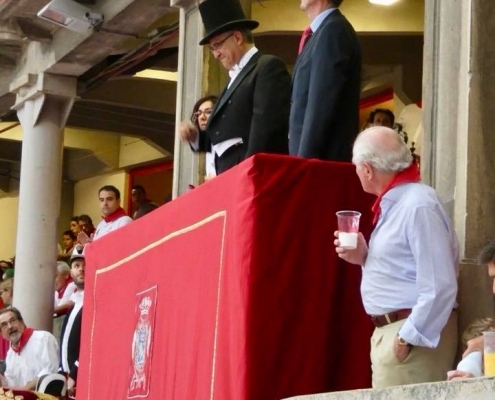 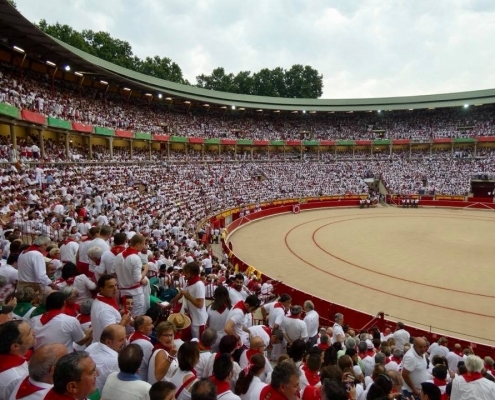 Bullfighting is the main event of the San Fermin festival (second only to perhaps running of the bulls in the morning). 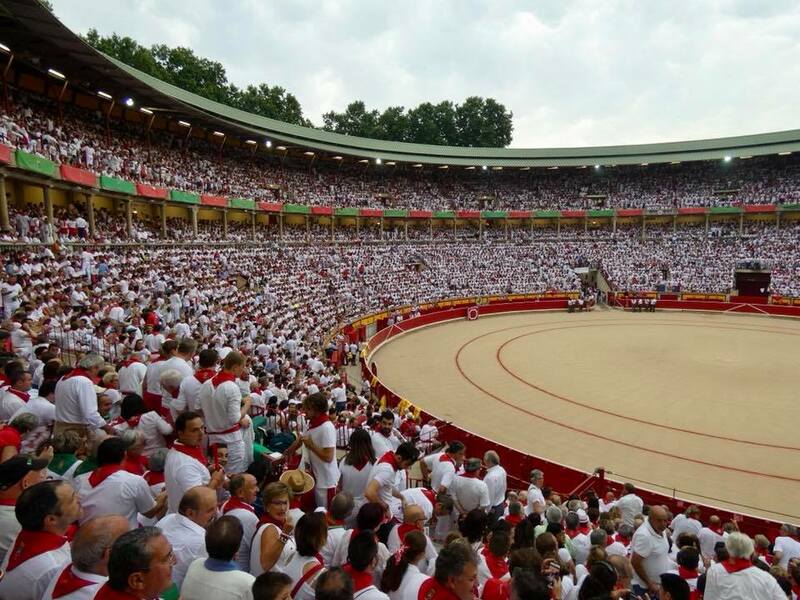 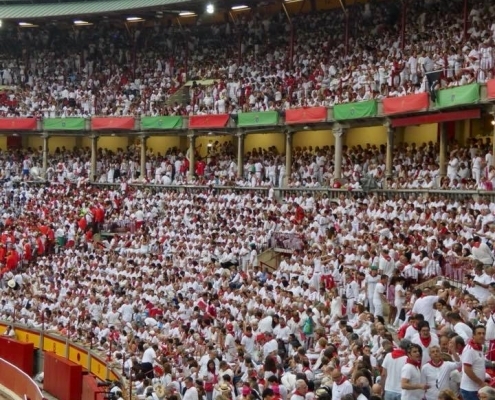 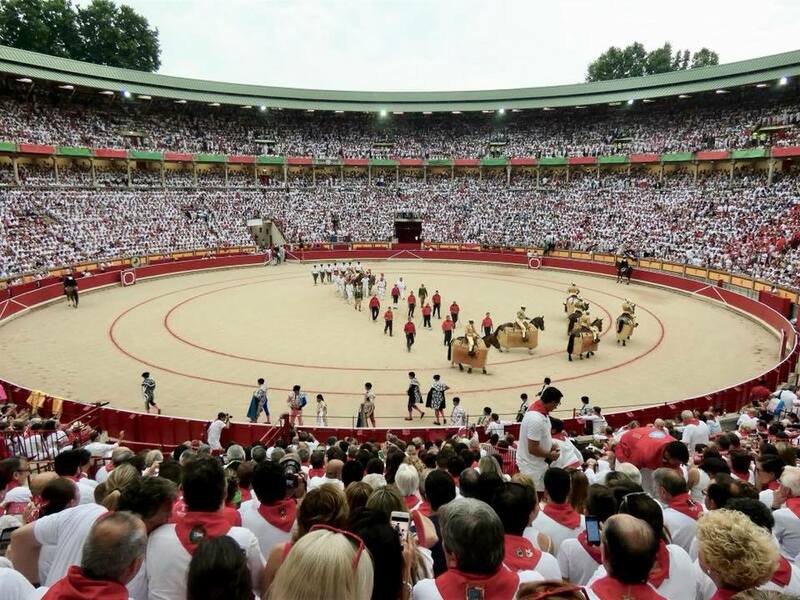 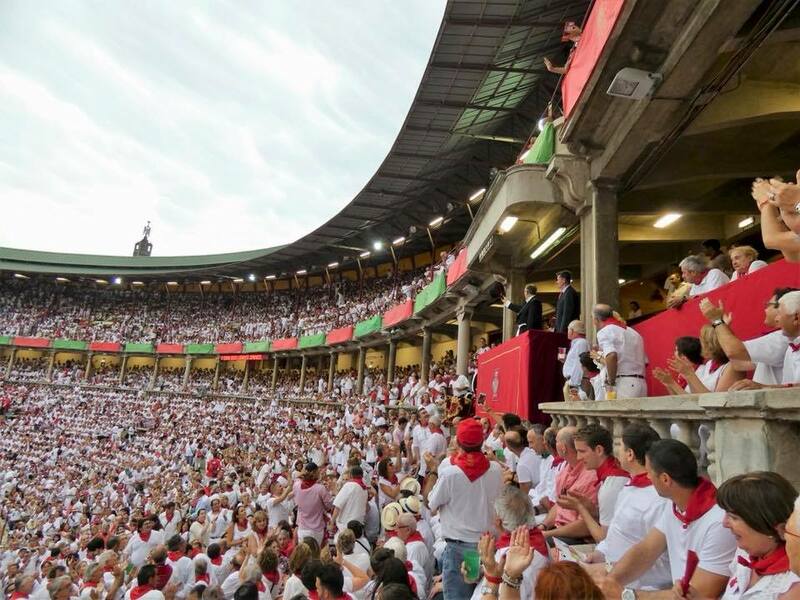 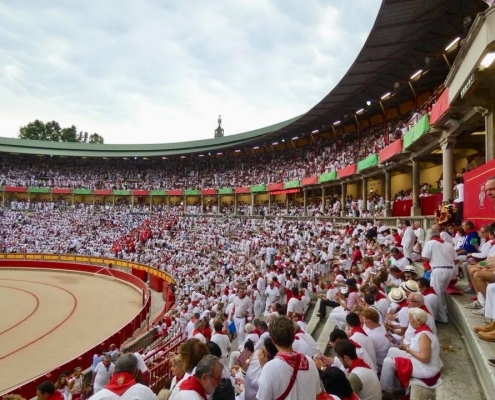 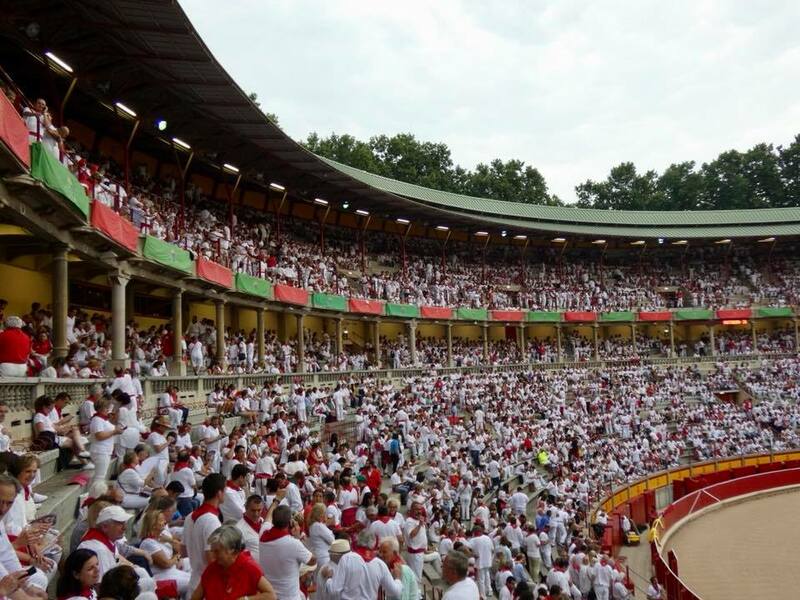 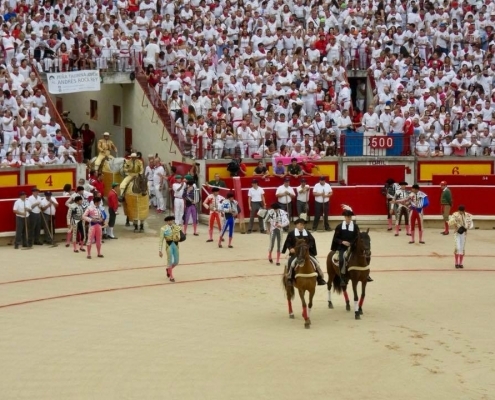 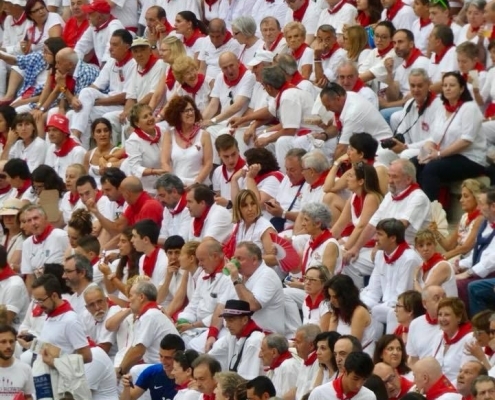 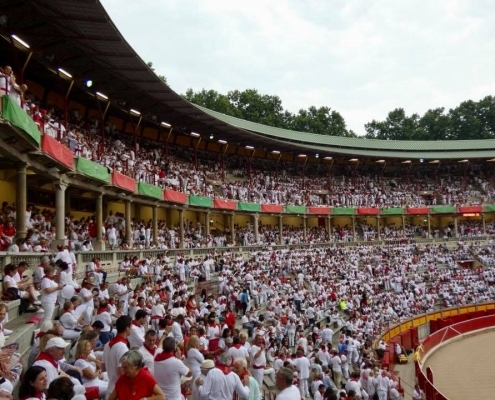 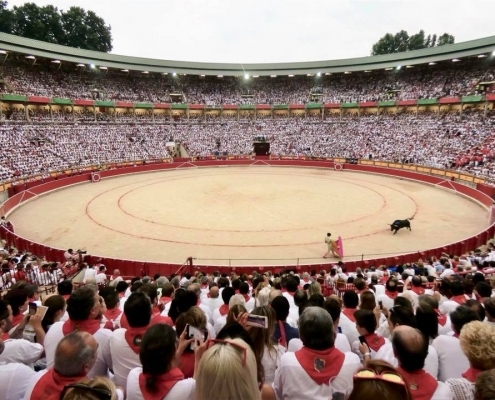 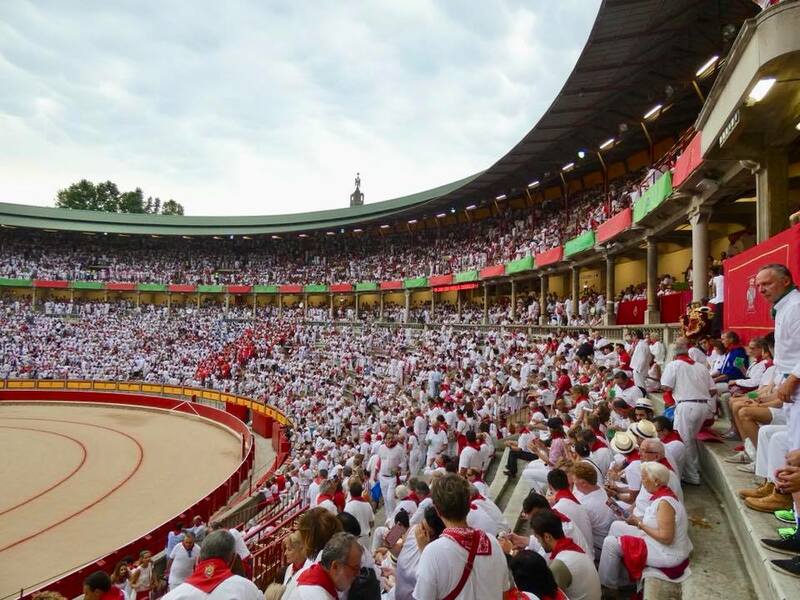 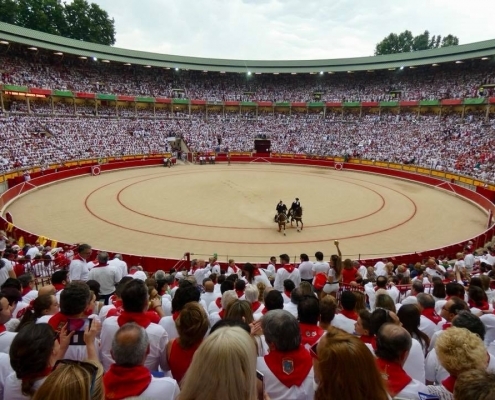 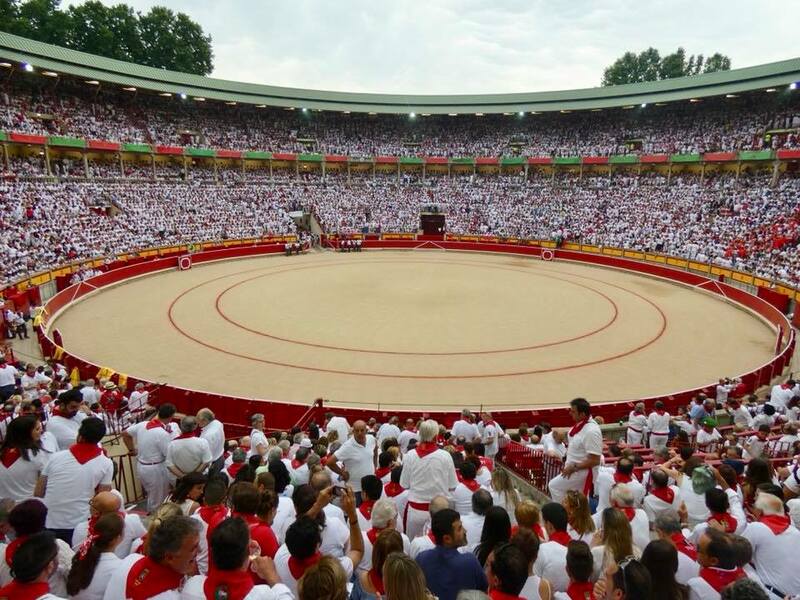 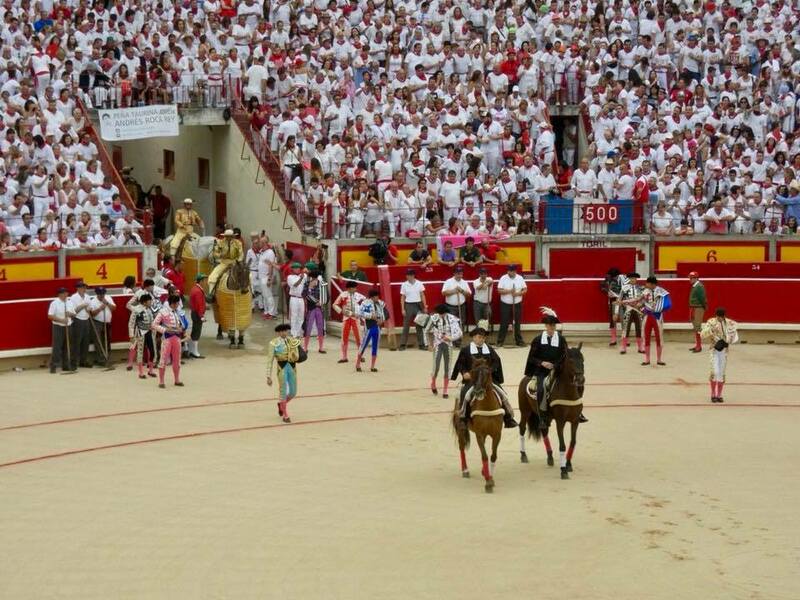 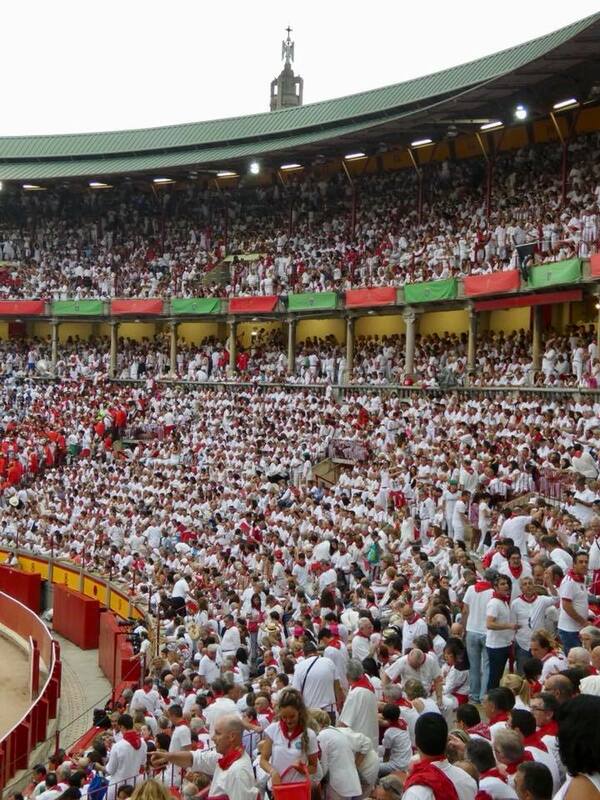 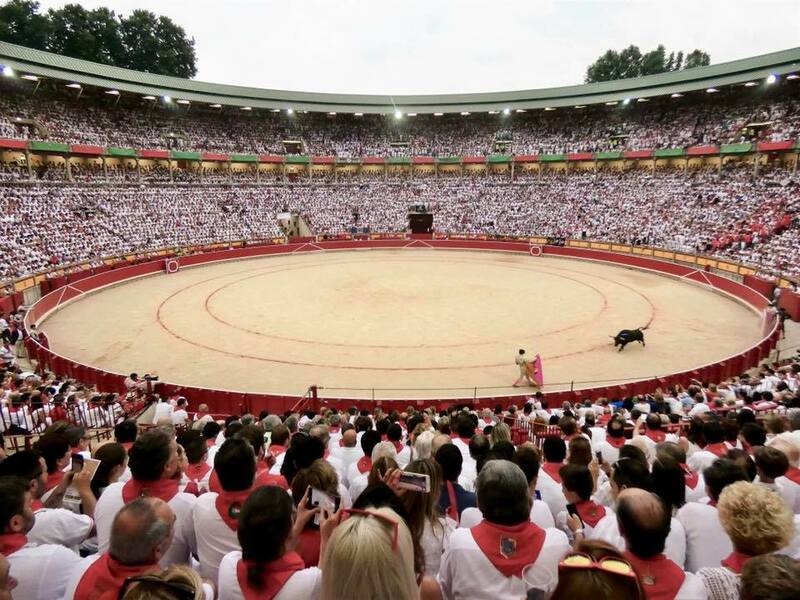 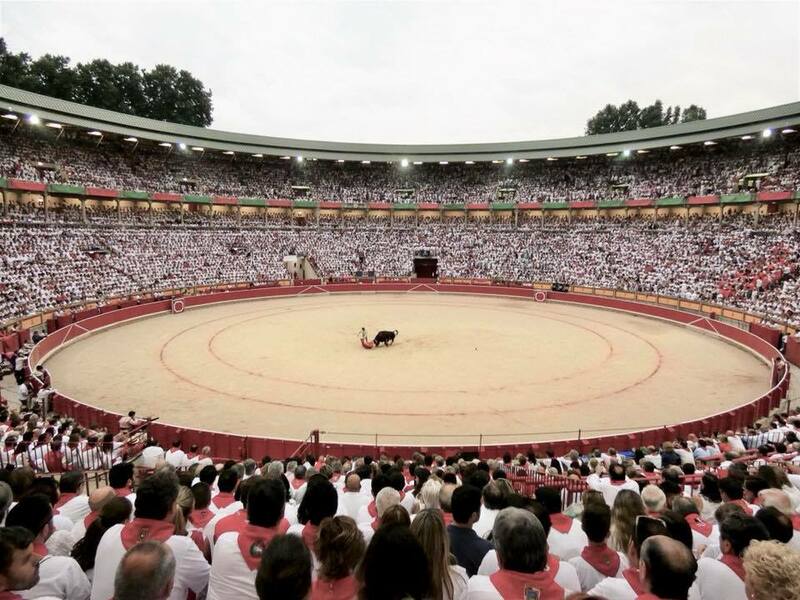 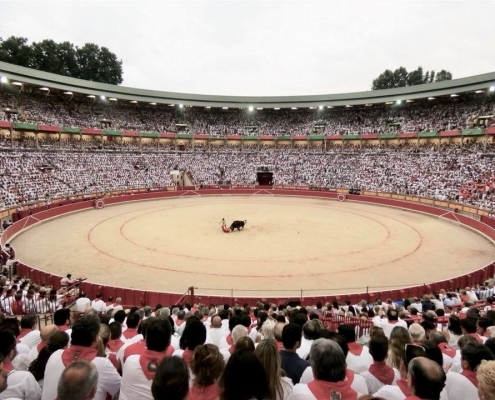 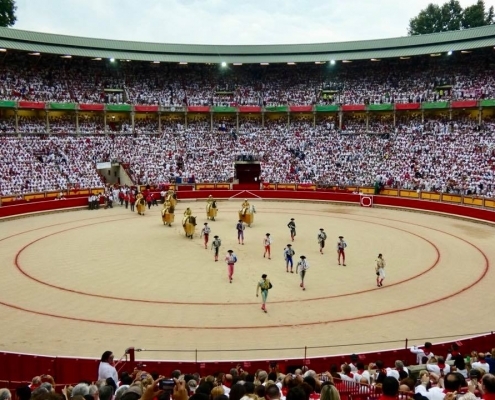 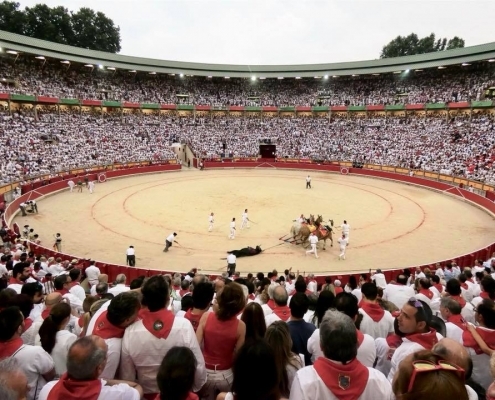 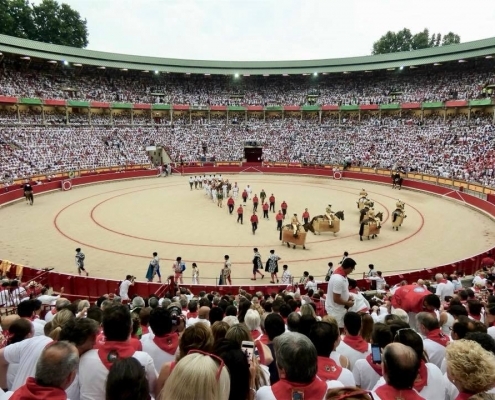 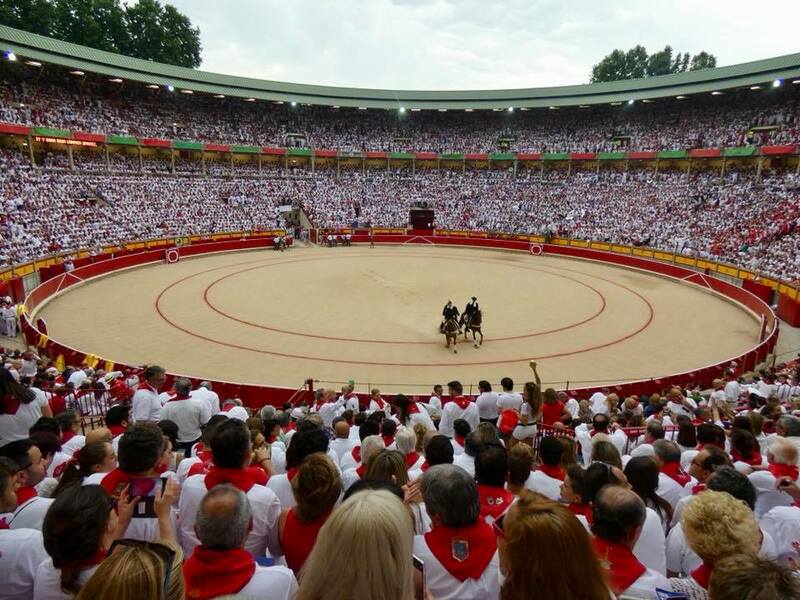 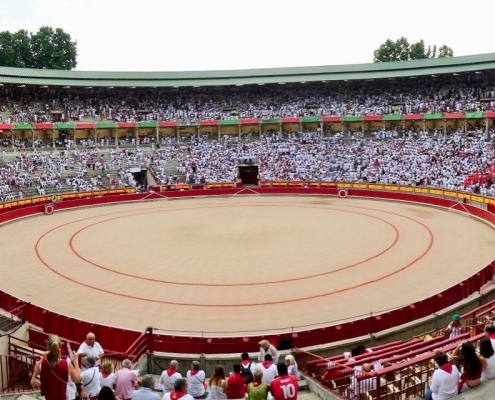 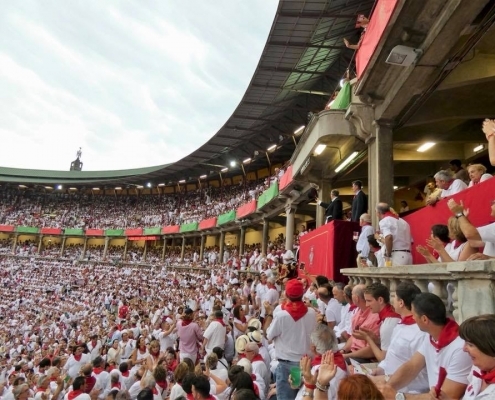 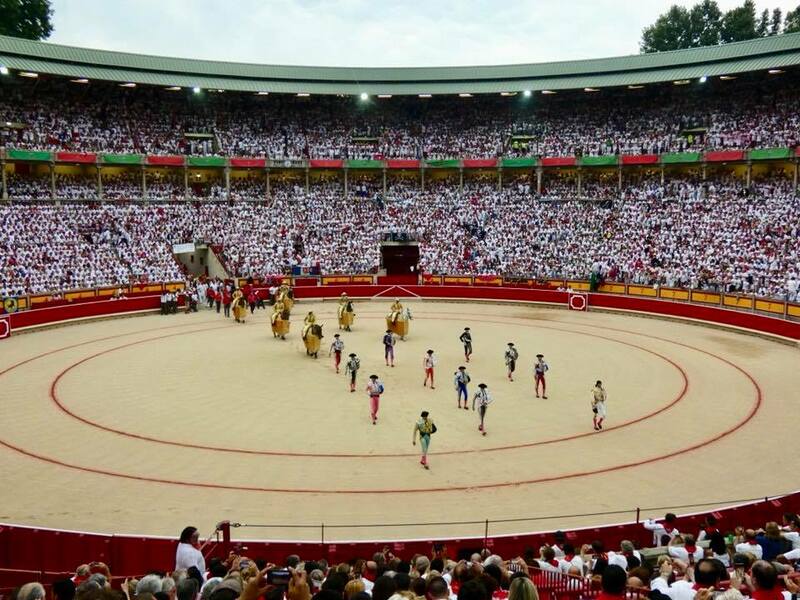 The highly structured event takes place at a bullfighting arena, packed to the rim with red-and-white cheering spectators.After an opening ceremony where all the participants parade in the arena, the show begins with the first of the six fights. 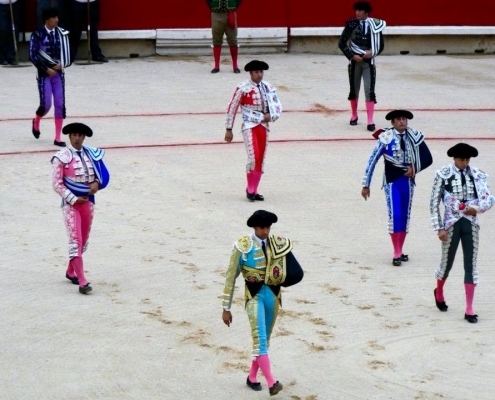 Matador (the main bull fighter) and his three banderilleros (matador’s assistants and future matadors) wear out the bull by making him run around the arena (interestingly, the bull reacts to the taunting motion and not the red color). 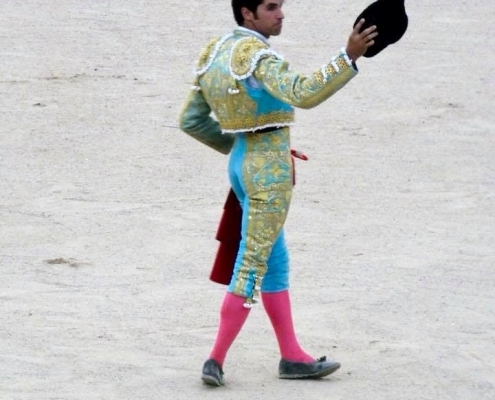 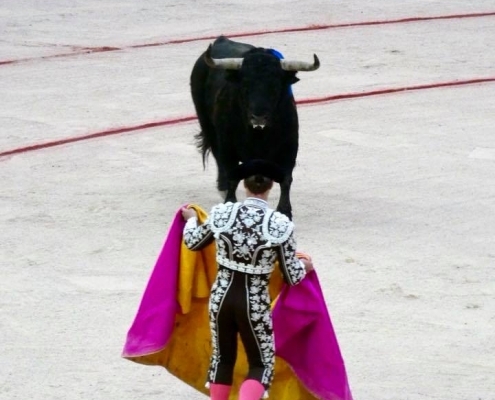 When the bull is huffing and puffing, a picador (a horseman on a nearly-bulletproof armored-clad horse) enters the ring and brutally stabs the bull’s neck with blood running down its body. 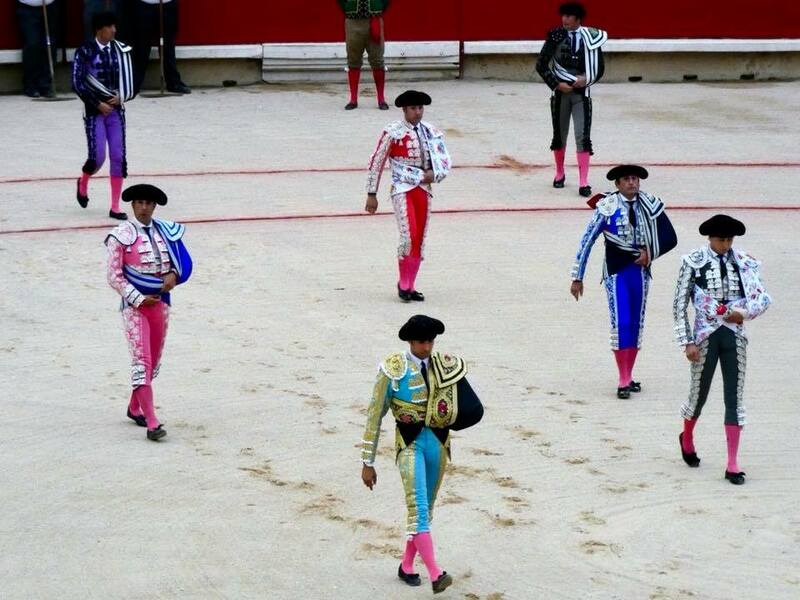 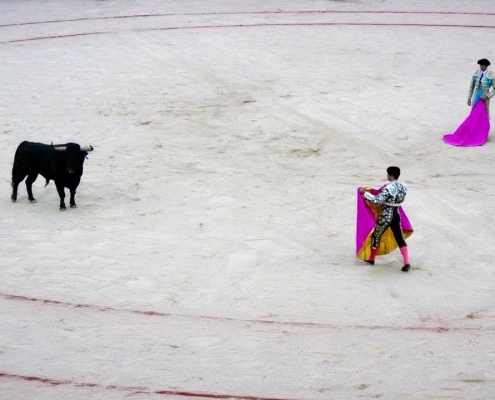 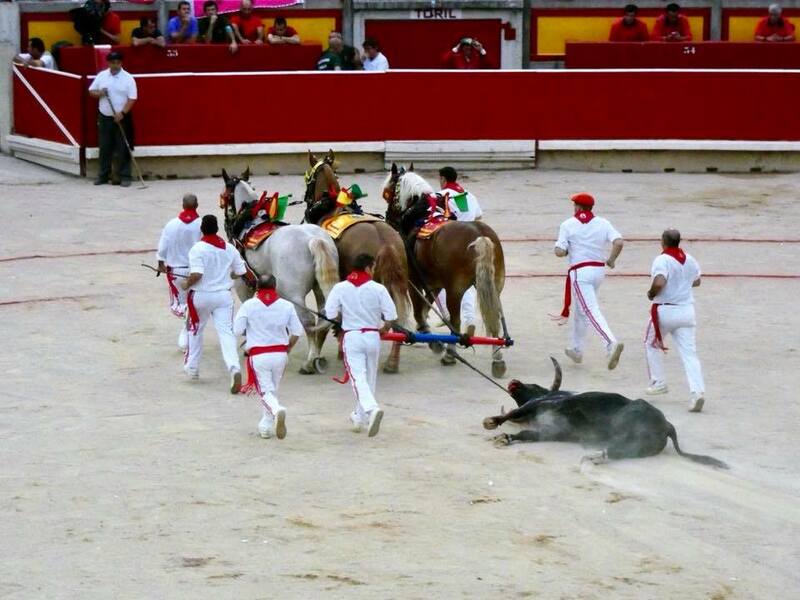 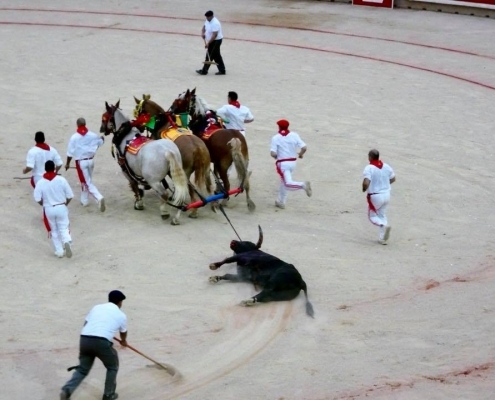 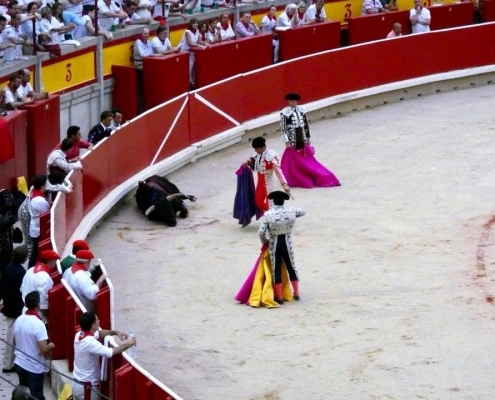 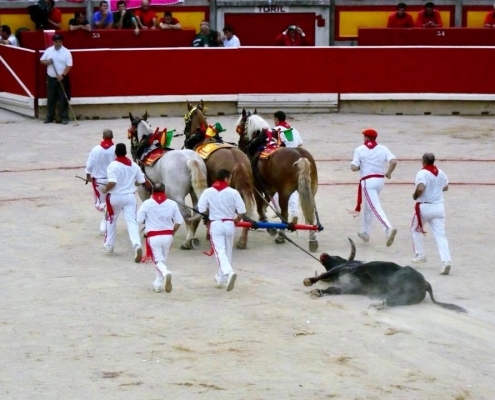 In the next stage, the banderilleros “dance” with the bleeding and raving bull and further stab it with banderillas (colorful barbed sticks), further weakening the bull. 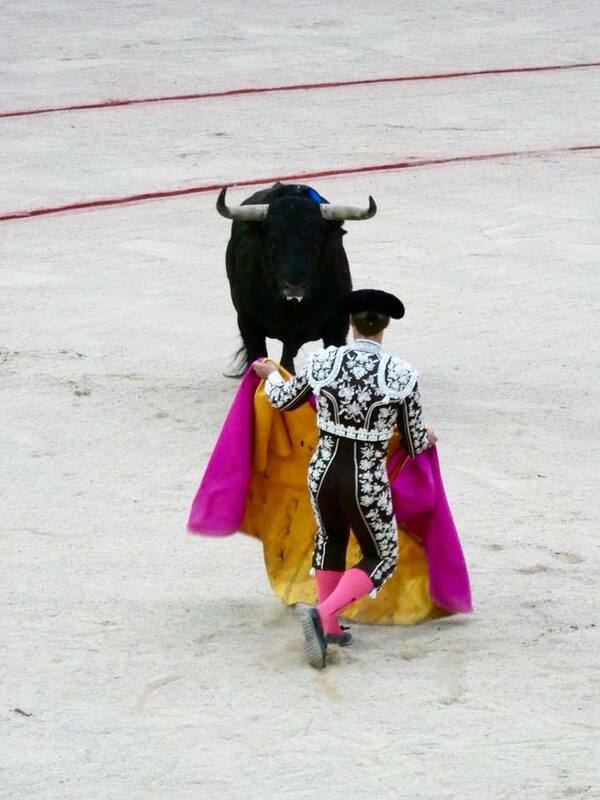 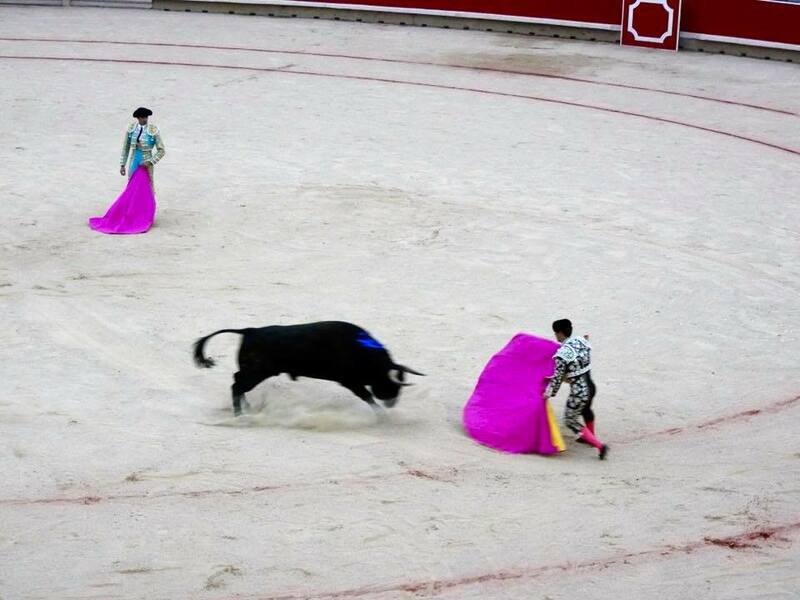 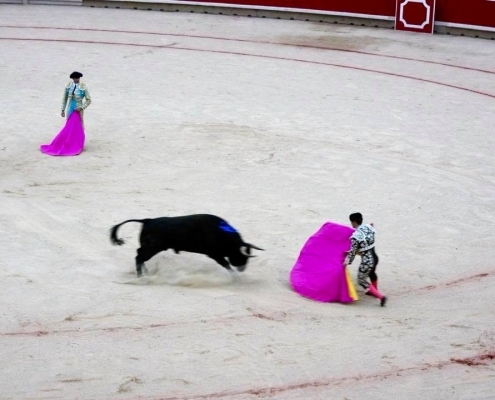 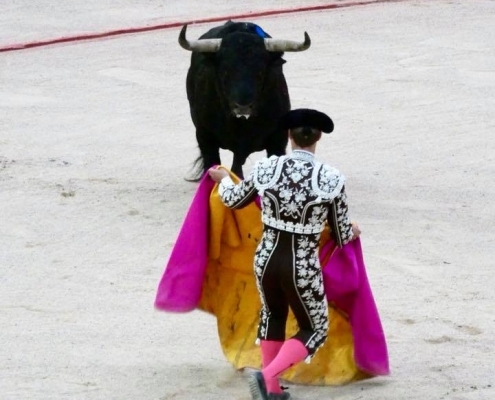 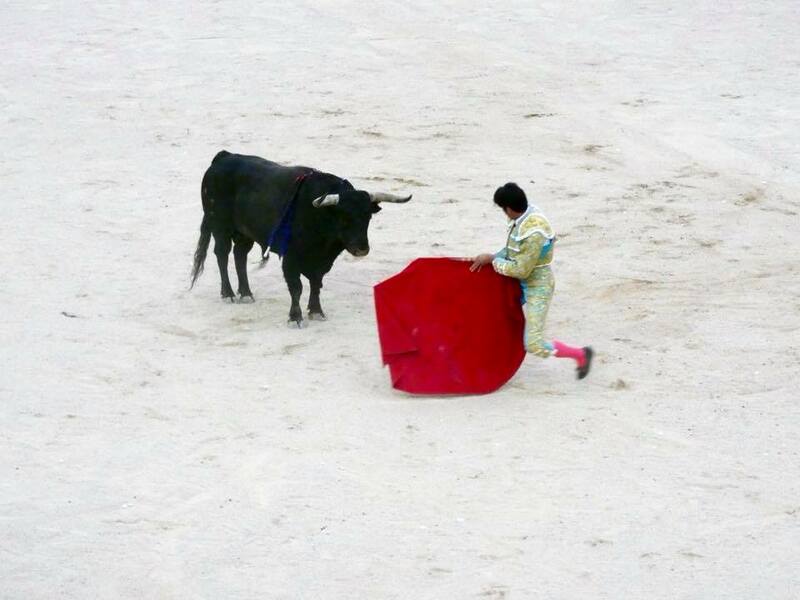 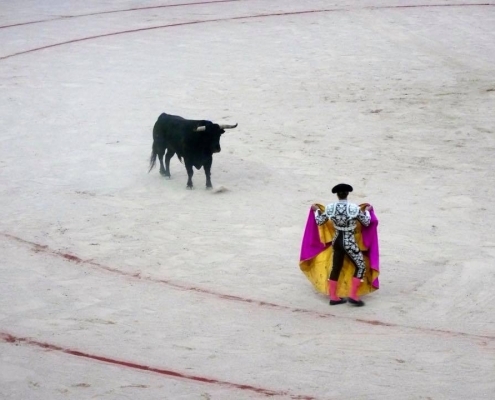 In the final stage, the matador perform the most daring passes with the bleeding bull (this is where most injuries happen). 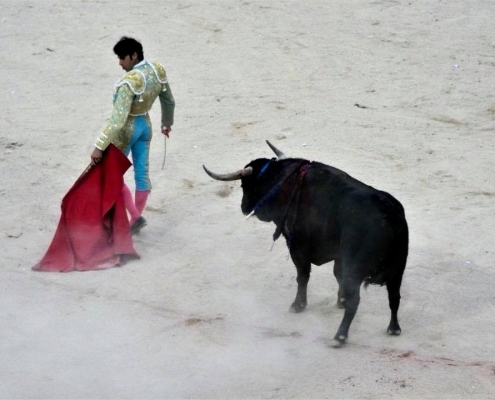 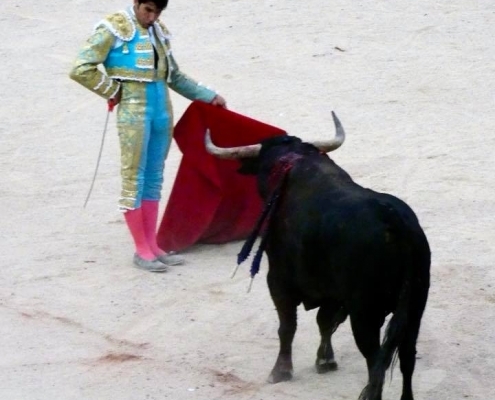 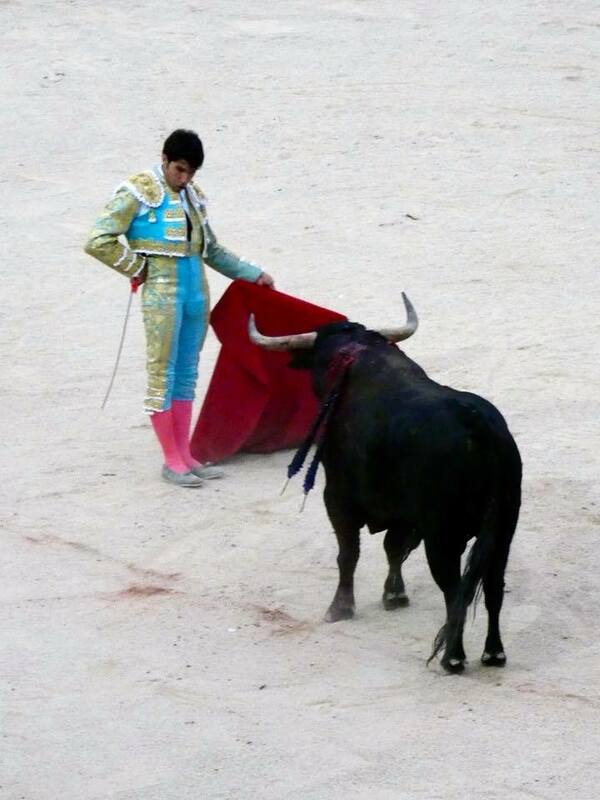 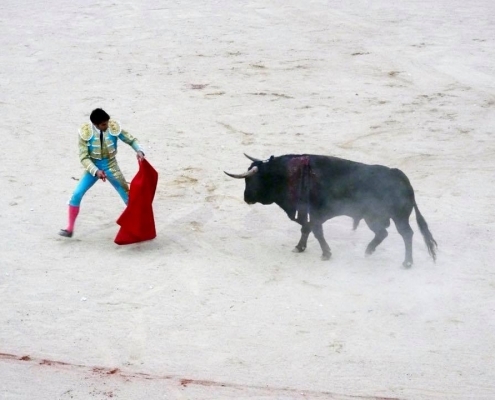 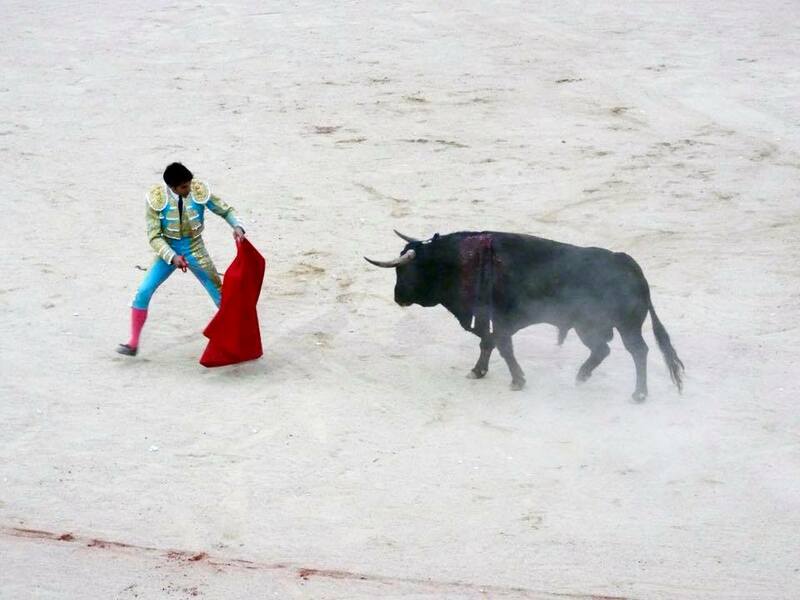 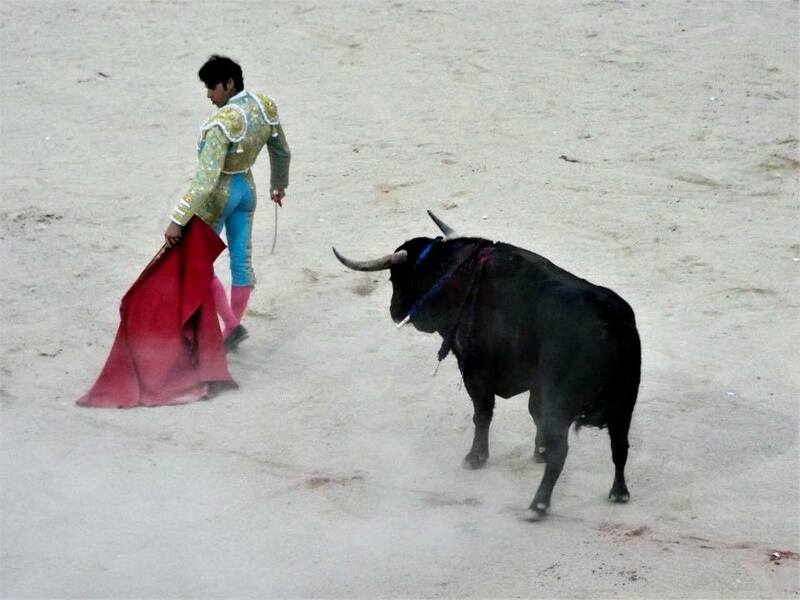 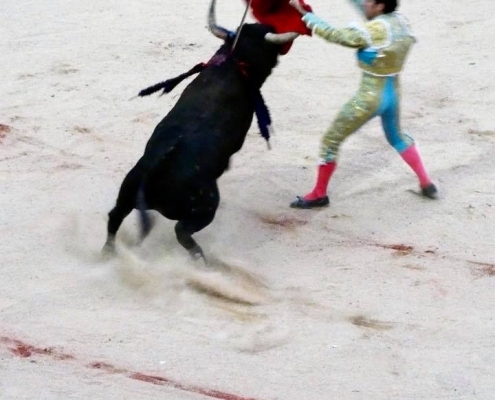 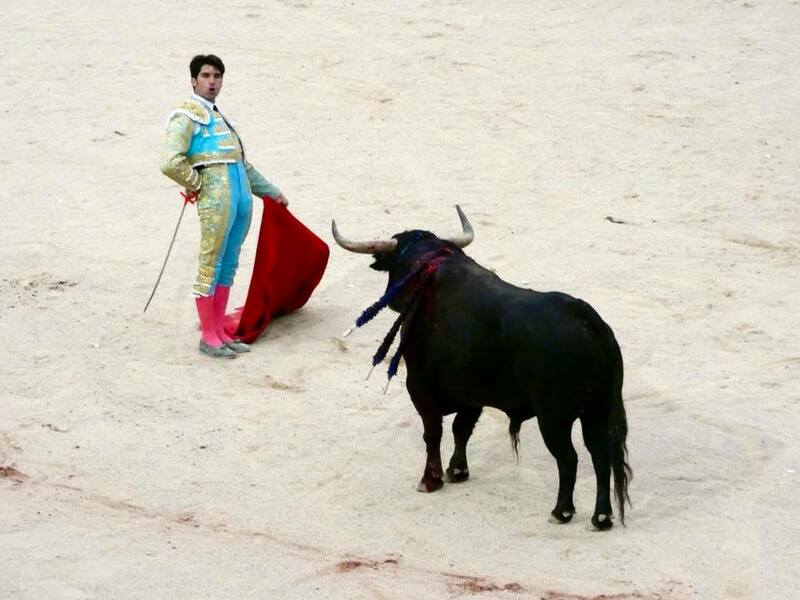 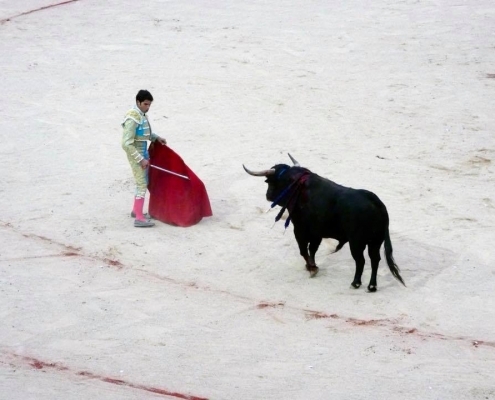 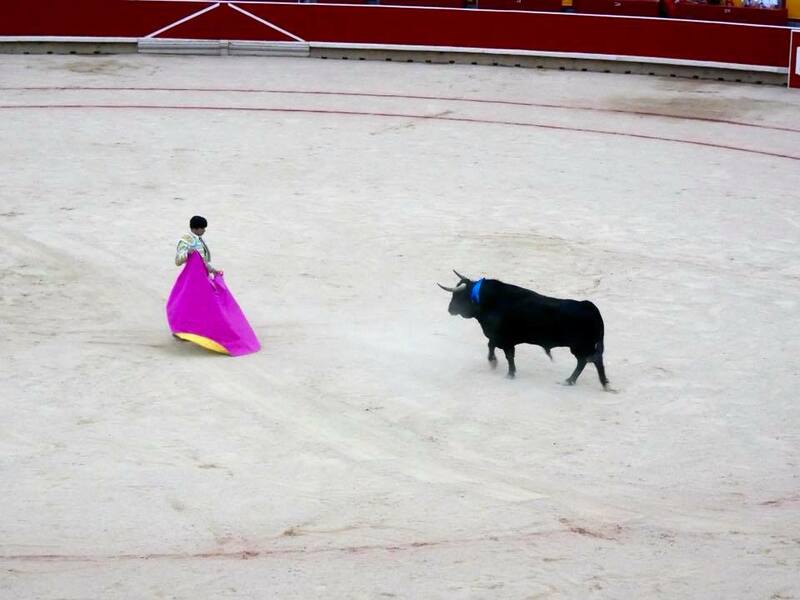 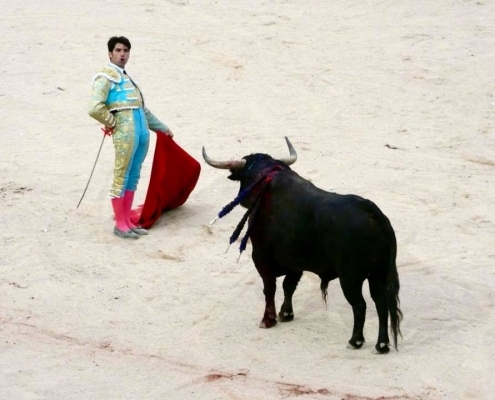 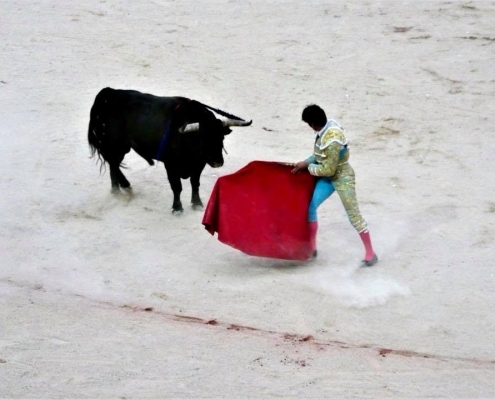 Finally, the sword comes out and the matador, if successful, sticks it in the bull’s heart and kills or fatally injures the animal. 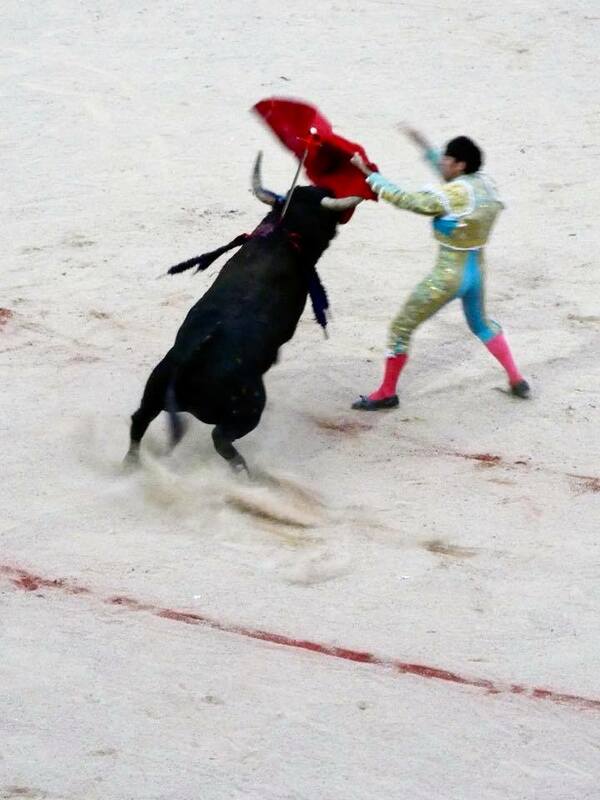 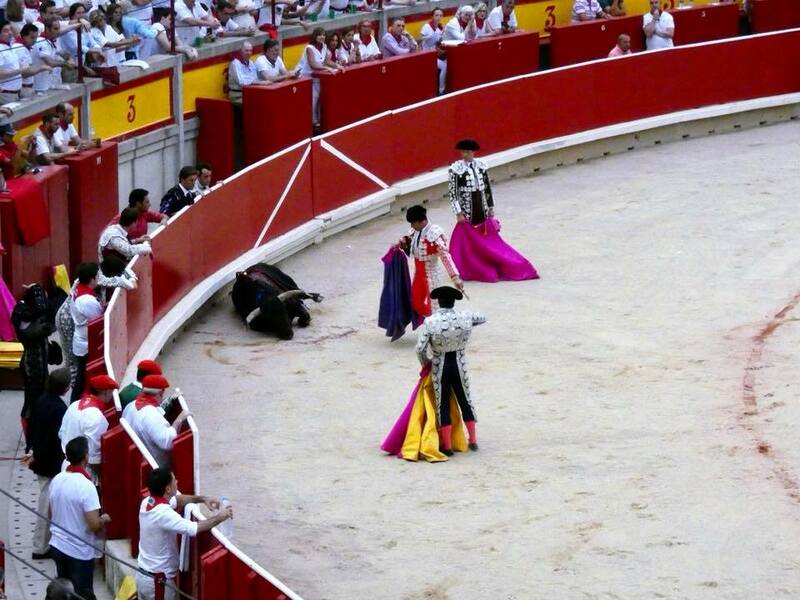 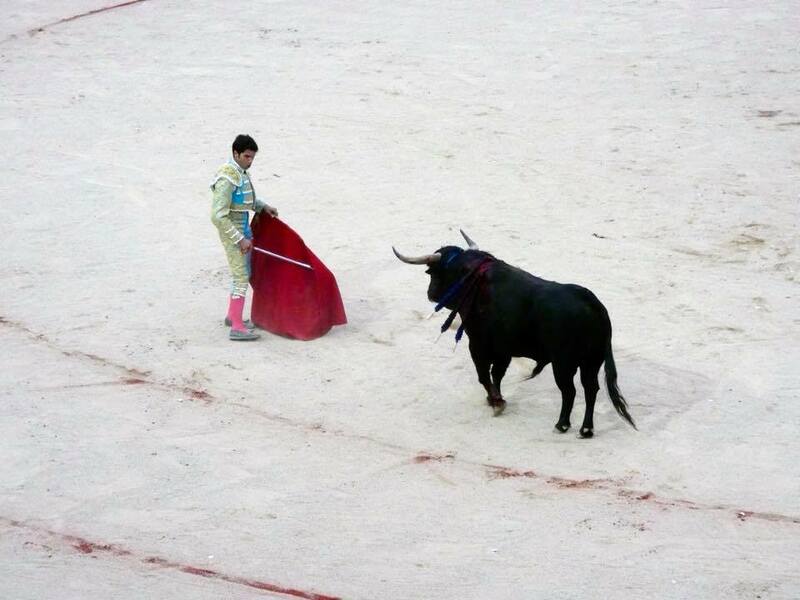 The bull stumbles, blood pours from its nose and mouth and it drops to the ground dead. 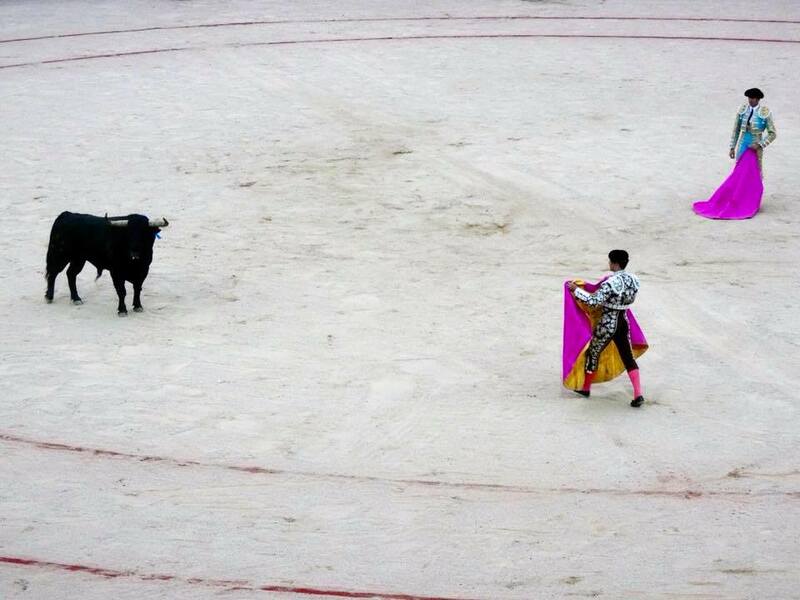 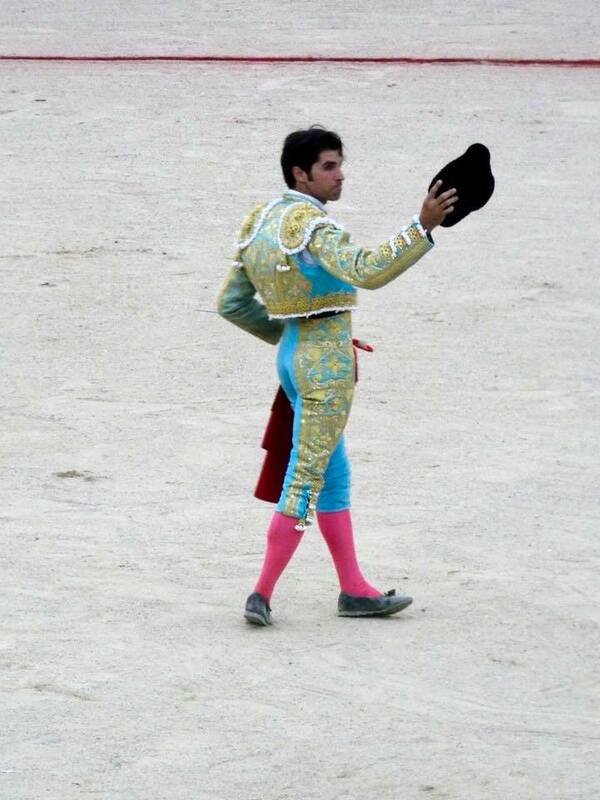 The cround cheers, and matador walks around as flowers fly into the ring. 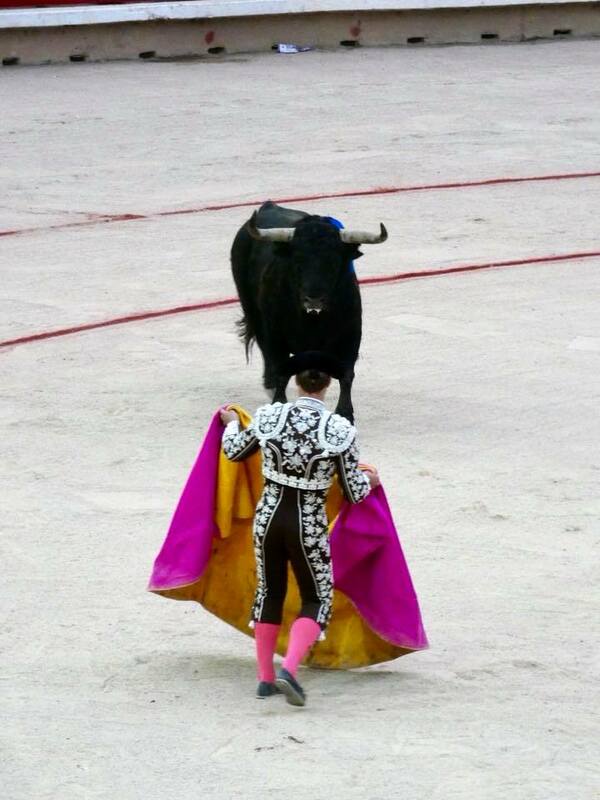 I personally think it is a horrible and brutal show and I cheered for the bull all the time. 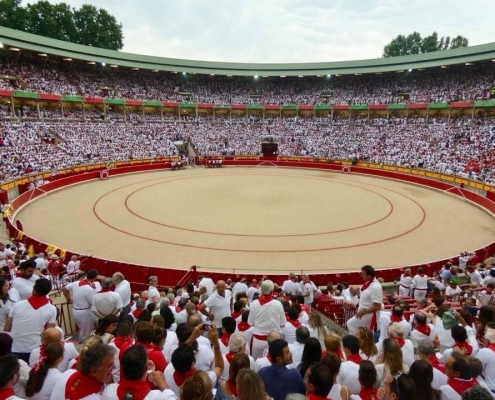 That being said, it a centuries-old tradition, and before we start slamming it, we should understand it’s a part of a culture and people’s traditions. 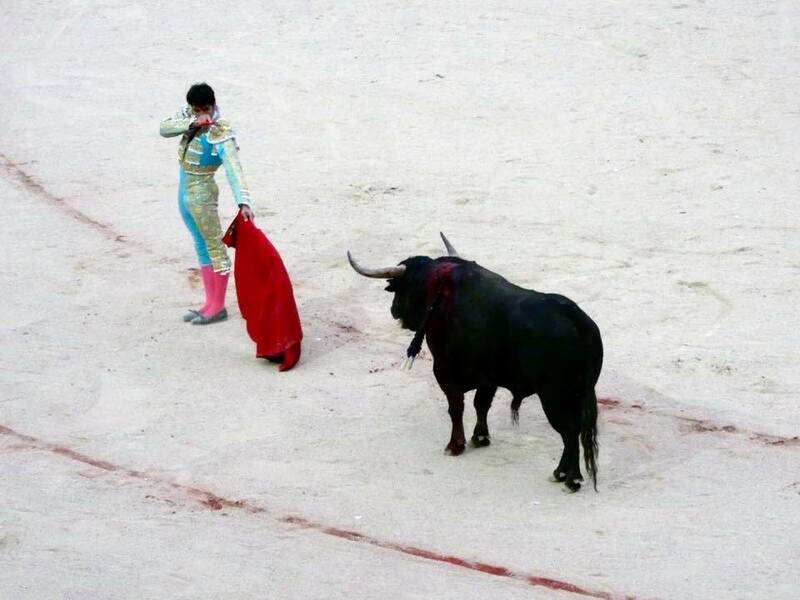 So no judging.